Cutting items on Shabbos, such as a table cloth, garbage bag, paper towel, piece of tinfoil, and toilet paper? 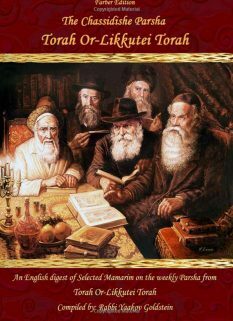 It is Biblically forbidden to perform an action on Shabbos which prepares an item for a use. 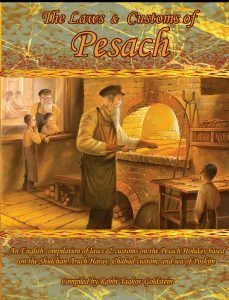 The principal Melacha of this prohibition is called “Makeh Bepatish,” while its offshoot is known as Tikkun Keli. Accordingly, it is forbidden to cut or tear an item on Shabbos for the sake of making a use out of the cut piece. If one cuts the item with a vessel, such as a scissor or knife, it is Biblically forbidden. If one tears it with his hands, it is Rabbinically forbidden. 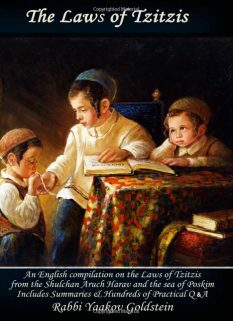 In addition to the above prohibition of Tikkun Keli, cutting or tearing an item on Shabbos [even not for a use] may also transgress other Biblical or Rabbinical prohibitions, including: Koreiah/Tearing; Michateich; Tochein; Soseir/destroying; Erasing letters. Tablecloth: It is forbidden to cut a tablecloth roll for the sake of using the cut piece to cover one’s table [or other usage]. This applies whether or not one cuts the tablecloth on the pre-serrated lines. It is forbidden to do so even with one’s hands, and certainly with a knife. Garbage bags: It is forbidden to cut a garbage bag from a garbage bag roll on Shabbos. Plastic sandwich bags: A pack of sandwich bags in which each bag is slightly attached to the bag under it, and needs to be torn off, is forbidden to be used on Shabbos. This applies whether or not one cuts the tissues on the pre-serrated lines. Tinfoil: It is forbidden to cut a piece of tinfoil from a roll, on Shabbos, whether with one’s hands or using a knife. Paper towel: It is forbidden to cut a piece of paper towel from a roll, on Shabbos, whether with one’s hands or using a knife. This applies whether or not one cuts the paper towel on the pre-serrated lines. Toilet paper: It is forbidden to cut a piece of toilet paper from a roll, on Shabbos, whether with one’s hands or using a knife. This applies whether or not one cuts the paper towel on the pre-serrated lines. Tissues: A pack of tissues in which each tissue is slightly attached to the tissue below it, and needs to be torn off, is forbidden to be used on Shabbos. This applies whether or not one cuts the tissues on the pre-serrated lines. Are the above items Muktzah on Shabbos? 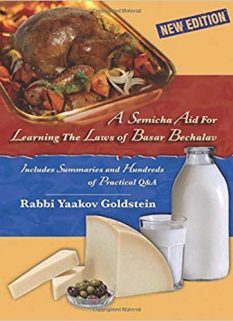 All the above items that may not be cut on Shabbos receive the status of Keli Shemilachto Li’issur, of which the ruling is that it may not be moved to save from damage, but may be moved for the sake of using it, or to free up its space. 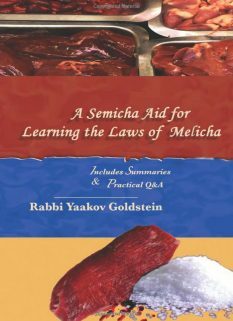 If practically the item is not useable due to one’s inability to cut it, then it may be judged under the higher status of Muktzah called Muktzha Machams Chisaron Kis, or Muktzah Machamas Gufo, of which the ruling is that it may not be moved for any purpose. If, however, one would not abstain from using the item without cutting it [i.e. placing the entire garbage roll in the garbage can and opening the one on top, or placing the plastic tablecloth on the table and resting the roll on a chair at the edge] then seemingly its status would be of Keli Shemilachto Li’issur. In the above cases, does it help to cut the above items to a larger quantity then necessary to avoid the above prohibition of Tikkun Keli? The prohibition applies even in such a case, as any cutting which further assists one in achieving his use of the vessel is forbidden due to Tikkun Keli. In the above cases, does it make a difference if one cuts the item with one’s hands versus a knife? The prohibition applies whether it is cut with a knife or torn with one’s hands, although the level of prohibition, and whether it is Biblical or Rabbinical does change if it was cut with one’s hands versus a knife and the like, as explained above. Does it make a difference if one cuts the above items on the serrated lines, or elsewhere? No. The prohibition of Tikkun Keli applies wherever one cuts it. Likewise, cutting it by the dotted lines does not necessarily transgress the additional Michateich prohibition, and hence there is no Halachic difference regarding where one intends to cut it. May one ask a gentile to cut the above items on Shabbos? No, as is always the rule regarding Amira Lenachri. However, in a case of great need, or for the sake of a Mitzvah, one may ask the gentile to cut it for him using his hands, without mentioning the use of a scissor or knife. 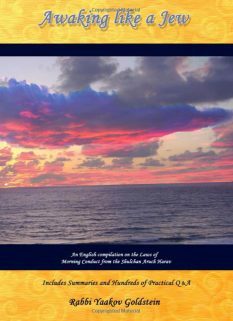 Does the Biblical Tikkun Keli prohibition apply in the cases below? As stated above, if one cuts the item with a scissor or knife, it is a Biblical prohibition, while if he tears it with his hand, it is a Rabbinical prohibition. This is unlike Piskeiy Teshuvos 340:34 footnote 308 who writes that according to Admur there is no Biblical prohibition, as in truth, while there is no Biblical prohibition of Koreia accoridng to Admur, there is a Biblical prohibition of Tikkun Keli if cut with a vessel. However, see there based on Maor Hashannos 4 that the Biblical prohibition of Tikkun Keli does not apply being that the vessel is able to be used in a time of need even without cutting and thus the simple act of cutting is not considered a complete fixing. However, in the case of the garbage bags or plastic bags, since the cutting turns it into a useable bag, then it is a Biblical prohibition of Tikkun Keli [if done with a vessel]. The practical ramification is regarding Amira Lenachri and if we can consider it Shevus Deshvus to cut it even with a knife. Does the Michateich prohibition apply in the cases below? For the most part, the Michateich prohibition does not apply in the below mentioned cases even if one cuts it by the dotted lines as one has no intent to truly cut it to a specific measurement. [See Admur 314:16; Piskeiy Teshuvos 340:34 footnote 308] However, see Aruch Hashulchan 321:40 and Az Nidbaru 1:79 who rules that one who tears paper for a use transgresses Michateich. Vetzaruch Iyun.